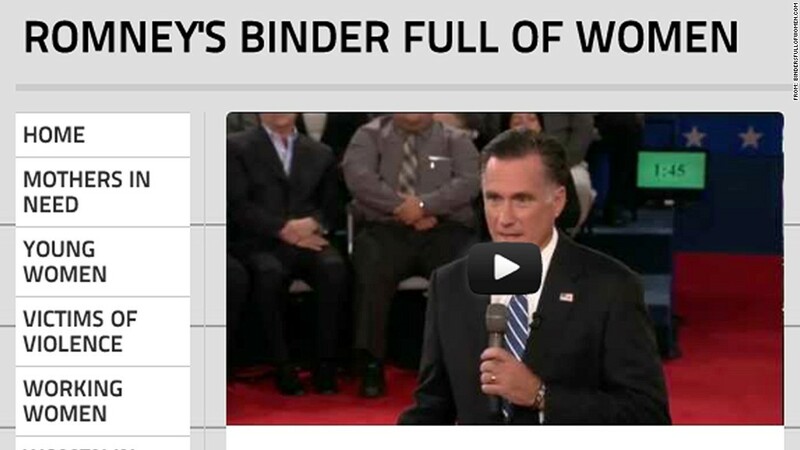 A Democratic PAC snapped up bindersfullofwomen.com just moments after the words left Mitt Romney's mouth. To cash in on a pithy election sound bite, you have to move fast. The domain name bindersfullofwomen.com was snapped up less than two minutes after the instantly viral phrase left Mitt Romney's mouth on Tuesday night. The speed race winner was American Bridge 21st Century, a Democratic super PAC. The group's biggest funder is hedge fund billionaire George Soros, who made a $1 million donation earlier this year. "We bought it because we could tell it would be a memorable moment from the debate," said Chris Harris, the PAC's communications director. "We were sort of on standby, knowing that Internet memes like this can solidify within seconds." By Wednesday morning, the PAC has a Tumblr-powered website running at the domain featuring critical news articles and policy briefs about Romney's stance on women's issues. Romney's tin-eared line -- referring to job candidates he reviewed while holding office in Massachusetts -- became an Internet sensation in record time. A scathing Facebook page drew more than 250,000 'likes' in less than 12 hours, and #BindersFullOfWomen took off like wildfire on Twitter. Like Angelina's right leg, the binders have their own Twitter handles. 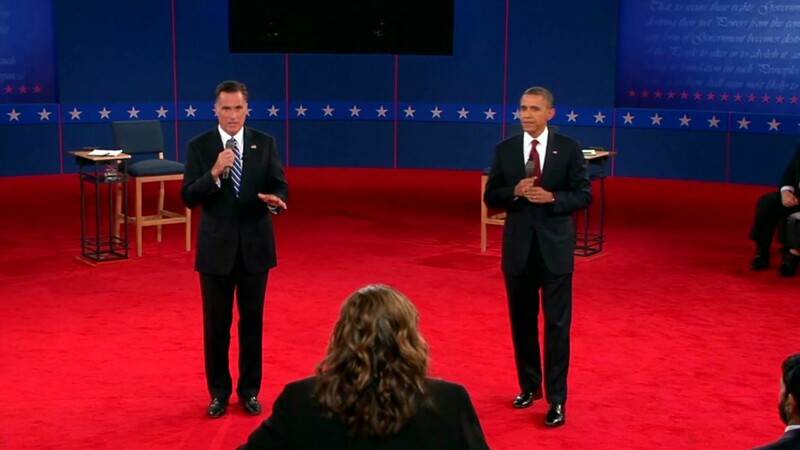 @RomneysBinder and @Romneys_Binder started firing off satiric tweets before the debate ended, and by Wednesday morning, they collectively had more than 20,000 followers. The $49.95 American Bridge spent to lock up bindersfullofwomen.com through 2017 is part of the nearly $10.7 million war chest the PAC amassed for this election cycle. Founded by conservative-turned-liberal activist David Brock, the group has produced a series of snarky social media gambits like Actually.org, a video collection of "fact-checking" pieces from comedians including Sarah Silverman and W. Kamau Bell.